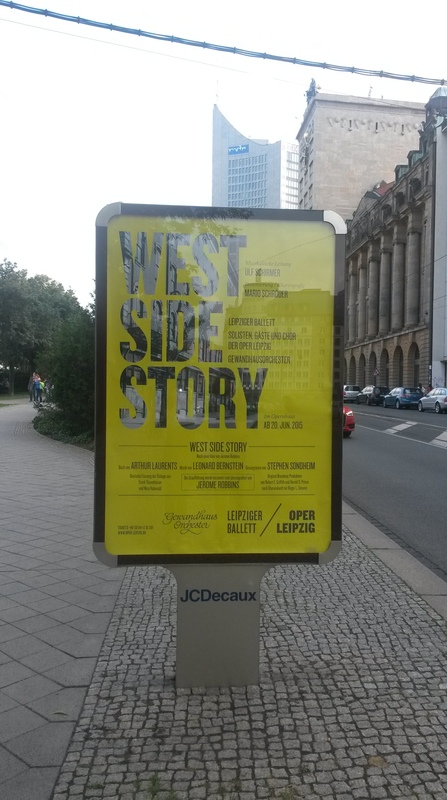 Precisely seven months after our wedding, I arrived in Leipzig to (finally) live with my husband. I got off the plane at 10 am local time (but it felt like 2 am to me) and collected my THREE roller bags off the carousel. I didn’t have any Euro coins to hire a Smart Cart, so I did my best to wheel my suitcases the meager 30 meters to the exit where Craig was waiting for me. Craig took me back to our apartment and, after a not-so-quick nap from the exhaustion of my international flight, I got to work settling into my new home. I need to give Craig a lot of credit because he did about 95% of the unpacking for our apartment. However, there were still a few things left for me to do once I got here. Mostly I had to organize my own things (clothes, toiletry items I hoarded, etc.) and decorate the apartment. 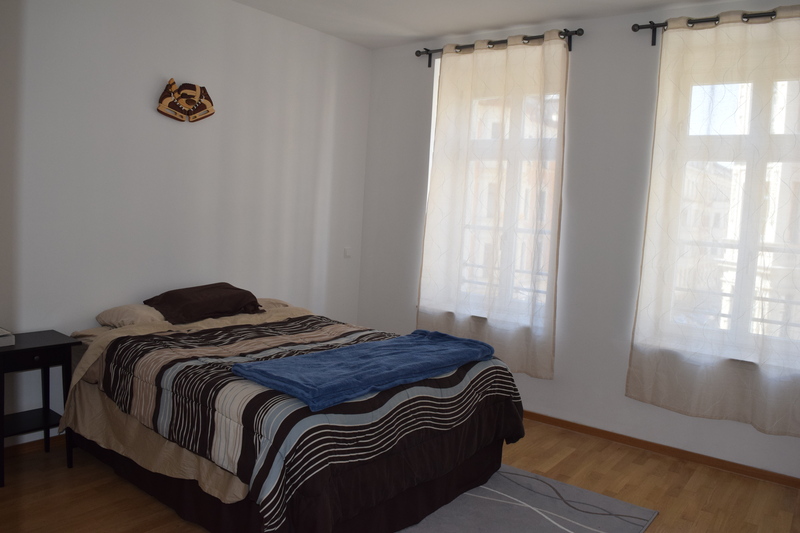 Our modern style apartment has a plethora a boring white walls which needed tending to, and our first guests were due to arrive in just a matter of days! The guest room. Any takers? In my first week I also registered with city hall, which was a flawless operation thanks to our translator/relocation specialist, Birgit. I met with a career specialist to help me prepare for the German job market, and Craig and I met with our German tutor to practice our language skills. It was a busy week of settling in, learning the ropes, and trying to get myself feeling comfortable with the fact that I’m now living in a foreign land. If I’m being honest, it was a very lonely week. Besides my scheduled meetings and the times Craig worked from home to spend more time with me, I felt very isolated. I was literally afraid to step outside and put myself in that vulnerable position of not being able to communicate with anyone. Yet I was going stir-crazy cooped up by myself in my new home. My only escape was grocery shopping. I went, probably daily, to every store in the area just to have something to do. On the up-side, I now know where to go to get hummus! I was quite happy when our guests Marc and Ariana arrived to spend the night with us. Not only did it give me purpose in making sure everything was prepared for them (and an excuse to go to the grocery store again), but it was so refreshing to be able to talk, relax, laugh, and share stories with them. We took them to dinner, toured them around our new city, and ended the night at an ice cream shop where Ariana ordered for us …in Spanish! Now that I was starting to feel more comfortable, I needed to find my routine again. With impending deadlines and the guilt of not really accomplishing much of my work the previous week, it actually wasn’t that hard to just force myself to sit in the office and work until Craig came home. But after all that hard work, we needed some relaxing activities to keep us balanced. After the first week of feeling bored, I started to look into activities I could join to give me something to do and a way to meet people. My first instinct was choir! I was fortunate to find the Leipzig International School Choir, which is a community choir instructed mostly in English. I immediately contacted them to inquire about joining. They invited me to come see their summer concert, so Craig and I went to enjoy a blissful night of song. It was a great performance, with a repertoire that took me back to my high school choir days. After the concert, we stuck around for a while to talk to some of the performers and introduce ourselves, but for the first 15 minutes we were just standing there awkwardly contemplating how to do so. Eventually, we worked up the courage to say hello. Unfortunately, they are now on summer break and won’t be starting up again until August, but you can bet I’ll be there with bells on at the first rehearsal! The next day we spent our evening at the movies. Thanks to a great weekly tip from LeipGlo, we found out that the new Jurassic World movie was playing in its original English in Leipzig! One of the coolest, but random, parts of the experience was that as we were walking to the cinema for the movie, we came across an orchestra concert in the market square where they were playing the Jurassic Park theme song just as we walked by! The only disappointing part (because I’m a really, really big fan of the movie itself) was that we encountered an unexpected cost – the 3D glasses are NOT free with purchase of a 3D movie ticket! So, if you don’t fork over the money, enjoy watching the blurry screen for 2 hours. On Sunday Craig and I spent the day just relaxing together. We took a leisurely bike ride around the nearby parks and along a river that reminded me of the Mississippi back “home” in Minneapolis. We watched as kayakers were loaded into the river locks and sent upstream. 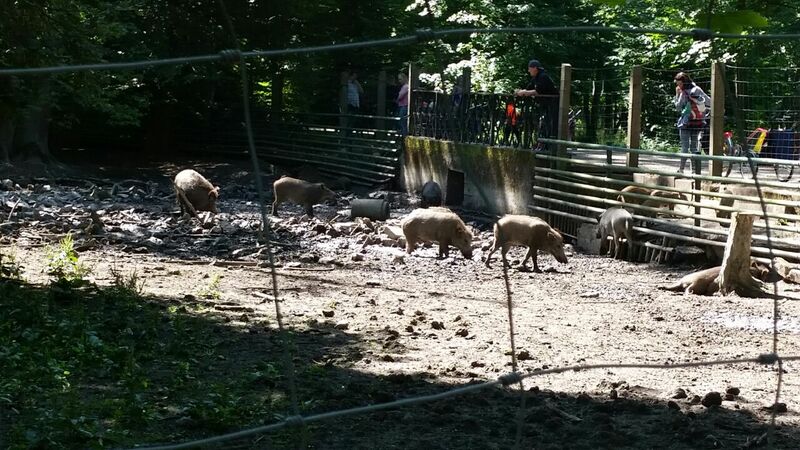 Then we biked to the Wildpark which is home to German “wild” boars. It was a nice way to end the week. Are they wild? You be the judge. There is one big lesson that I learned in the last two weeks – that it takes extreme effort to become acclimated to a new place. Having only moved before for reasons related to my schooling, I’ve always had a group of people in my same situation eager to socialize and be active with. That’s not to say that the Germans are not open to those things, only that my approach before had been so passive. I was literally corralled into a room with like-minded people at orientation where a simple, “Want to do something later?” was enough to make an instant friend. Now it is different. Besides the issue of meeting new people, I can see myself having trouble mustering an intelligible sentence that even somewhat resembles, “Want to do something later?” What’s the only way around it? Practice, persistence, and putting yourself out there. As a relatively shy introvert, I’ve been contemplating ways to challenge myself to do the latter. I’ve decided to make a bit of a game of it. Every week I will issue a challenge that I will announce on my Facebook page, and therefore will have to follow through. This week’s challenge: order something from the neighboring butcher shop (Fleischerei). Feel free to add your own suggestions in the comments sections, as well! This weekend will be an exciting one. 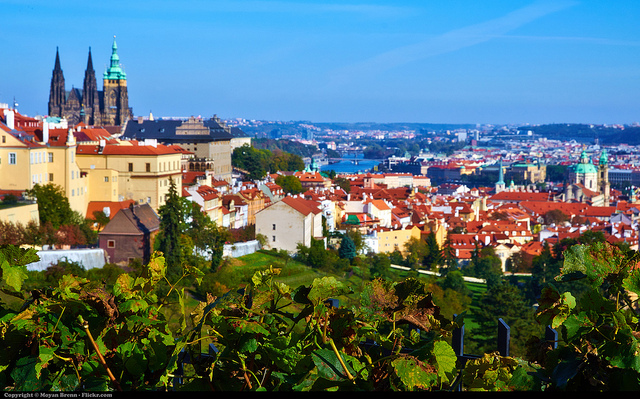 Craig and I will be traveling to the beautiful city of Prague! 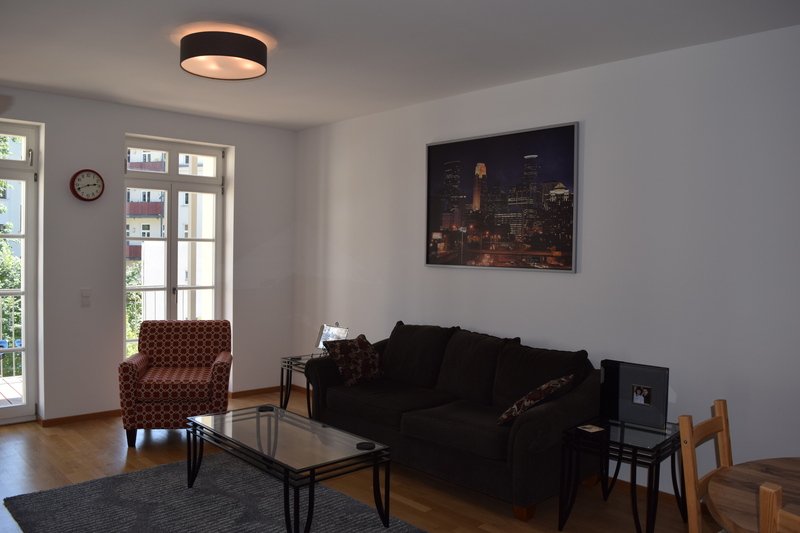 We will be taking a train from Leipzig and staying at an Airbnb apartment. There is much more to come soon! If you want real time updates of our travels, be sure to follow me on instagram @beckymarkovitz2.